Eurodressage bvba, with registered office at Roesstraat 21, 3670 Gruitrode (BEL) (hereinafter " Eurodressage"), considers the protection of personal privacy to be extremely important. Eurodressage wishes to inform its customers and users as much as possible about its services, while respecting their data and giving them control over what happens to them. Eurodressage wants to manage and use its customer data safely, respectfully and with due diligence in order to provide better service to its customers and to offer the best possible experience. Eurodressage therefore starts from the principle that everyone must have control over their personal data. Below, you will find information about what data Eurodressage collects, why, how long for and how you can control it. Eurodressage strives to fulfil its obligations and to respect the rights of the customer whenever Eurodressage processes your personal data. For more information about this, Eurodressage would like to refer you to the website of the Commission for the Protection of Privacy [https://www.privacycommission.be/en]. The personal data that Eurodressage collects and processes, primarily concerns the data that customers enter themselves via the various pages of our website and that Eurodressage obtains through your use of our website and/or our products and/or services. This does not detract from the fact that the customer has a number of obligations in connection with the processing of personal data that allows the customer to use Eurodressage’s products and services. In this capacity, the customer must always obtain, where necessary, the legally required authorisations from the end users for the processing of their personal data by Eurodressage insofar as necessary within the framework of Eurodressage’s products and services. Eurodressage processes personal data for various purposes, whereby the only data processed is that which is necessary to achieve the intended purpose. When we have received permission; In the context of the preparation or performance of our contract; To comply with the legal or regulatory provisions to which we are subject; and When Eurodressage has a justified interest in this, such as, for example, as the case may be, direct marketing, fraud prevention, internal administration management or monitoring of appropriate network and information security, in which case we always strive for a balance between that interest and respecting the privacy of the person concerned. - To process an application for our products and services. If you visit our website to collect and/or request information about our products and services, or if you sign up for Eurodressage’s newsletter, for example, then Eurodressage needs your email address details. All information that Eurodressage receives about you during this pre-contractual phase will only be used by Eurodressage to provide you with the requested information, in the way that you want. In addition, if you ultimately decide to become a customer at Eurodressage, Eurodressage will ask you for a number of personal details, such as name, address, and, e-mail address. Eurodressage uses personal data for setting up, maintaining and supporting products and services, and for administrative purposes. 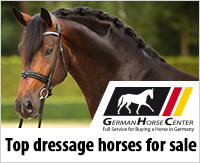 - To provide information about (new) products and services from Eurodressage. Eurodressage may use personal data to offer (in writing, electronically) new products, services or special promotions that Eurodressage believes may be of interest to you. Of course, you can opt out of this type of message (see further). Eurodressage may use personal data and consumer profiles to evaluate its products and services. This includes, among other things: requesting feedback on services (direct contact between Eurodressage and client, no third party involved), data obtained during answers to customer questions, fraud detection and quality assurance. In many cases, Eurodressage is legally obliged to keep certain personal data and/or communicate them to government agencies, for example, in the context of general tax and accounting obligations. In the context of a police or judicial investigation, Eurodressage can be obligated to communicate certain data to the requisite authorities in a confidential manner. - To keep track of studies, tests and statistics, including for trend analysis. Eurodressage may use anonymous, aggregated data to, for example, report internally and externally on the use of its services. The data used for this cannot be traced back to a specific individual. The information that Eurodressage derives from these analyses is used to evaluate the current products and services portfolio and Eurodressage’s processes, and to adapt them to new developments. Eurodressage strives at all times to protect personal data and privacy, both in its physical office and on the Eurodressage website. Eurodressage ensures appropriate organisational and technical measures to secure personal data. - To our legal successors. For our products and services, we might cooperate with third parties or engage sub- contractors. These third parties are always selected very carefully and there is always an agreement between Eurodressage and these third parties in accordance with the applicable legislation. If you purchase from Eurodressage a (online) product or service from a manufacturer or supplier based outside the European Union, it is possible that additional measures are necessary to ensure the security of personal data, such as a certification under the EU-US Privacy Shield and/or a processor agreement with model clauses drawn up by the European Commission. When a person refuses to have his details passed on, it is possible that some services can no longer be offered by Eurodressage. - There is a legal obligation. There is a legitimate interest for Eurodressage or the third party concerned. - Eurodressage has received permission from the person concerned. If Eurodressage should provide personal data to third parties by other means, this will be done with an explicit communication, in which an explanation about the third party is given, together with the purposes of the transfer and processing. Where required by law, Eurodressage obtains express and unambiguous consent from the data subject. The data subject also always has an option to object (see below). In regard to the international transfer of personal data, Eurodressage protects all personal data in accordance with the level of protection required by European regulations. In some cases, Eurodressage uses anonymous, aggregated data for commercial purposes or for external reporting. This data can never be traced back to a specific individual. You can exercise a number of rights regarding the processing of your personal data with respect to Eurodressage, insofar as you have those rights under the applicable legislation. You have the right to object at any time to the processing of your personal data based on the legitimate interest of Eurodressage on grounds relating to your particular situation. If you object, Eurodressage will no longer process such personal data unless Eurodressage demonstrates compelling legitimate grounds for the processing that override your interests, rights and freedoms, or for the establishment, exercise or defence of legal claims. As a data subject, you are entitled to have incomplete, incorrect, inappropriate or outdated personal data corrected or supplemented. For this purpose, you can contact Eurodressage via email. In order to keep your data up to date, we request that you notify us of any changes, such as if you move house. 5. the personal data must be erased for compliance with a legal obligation that applies to Eurodressage. Eurodressage will send you a confirmation message after complying with a request for erasure. In the case of partial erasure, Eurodressage will also explain why the request could not be fully met. Depending on the nature of the request, it is possible that some services can no longer be offered by Eurodressage. Eurodressage is also not always able to erase all requested data, for example, to comply with legal obligations (e.g. in order to meet accounting and fiscal obligations, Eurodressage is required to retain invoicing data for a maximum of 7 years). 4. you have objected to processing, pending the verification whether the legitimate grounds of Eurodressage override those of the data subject. In case of restriction of processing, the data may still be stored by Eurodressage. For personal data that are (i) processed in the context of the performance of the agreement, (ii) provided by yourself and (iii) processed through automated processes, you as a data subject have the right to obtain these data from Eurodressage in a structured, commonly used and machine-readable format. Eurodressage stores and processes your personal data for as long as is necessary to achieve the objectives described in point 4. The retention period can therefore differ for each purpose, for example to meet legal obligations (e.g. to meet our accounting and fiscal obligations, Eurodressage is obliged to keep records for up to 7 years) or for the legal necessity to provide certain data as evidence in case of disputes for up to a maximum of 10 years after termination of your business with Eurodressage. These archived data are, of course, only accessible to a limited extent. All information, whether in the form of text, files or images or any other form, is made available by Eurodressage for information purposes only. Any interested person may take note of this information, but Eurodressage reserves the right, at the time it considers appropriate, to change the rules and conditions concerning access to the use of the website without prior warning, or to subject the entire website or parts thereof to a restriction. The provision of access to potential private section of Eurodressage’s website through the use of usernames and passwords can be changed or refused by Eurodressage at any time without this leading to any compensation.